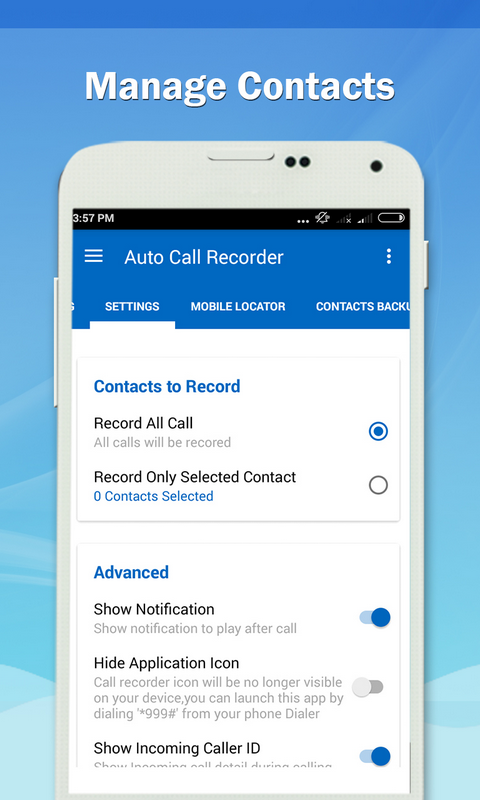 Auto Call Recorder provide an easy & advanced Call Recorder & many more feature which makes is different from other Call Recorder App on Play Store,It gives you all the details of the caller whom call you want to record you can know caller Location,Service Provider from it. 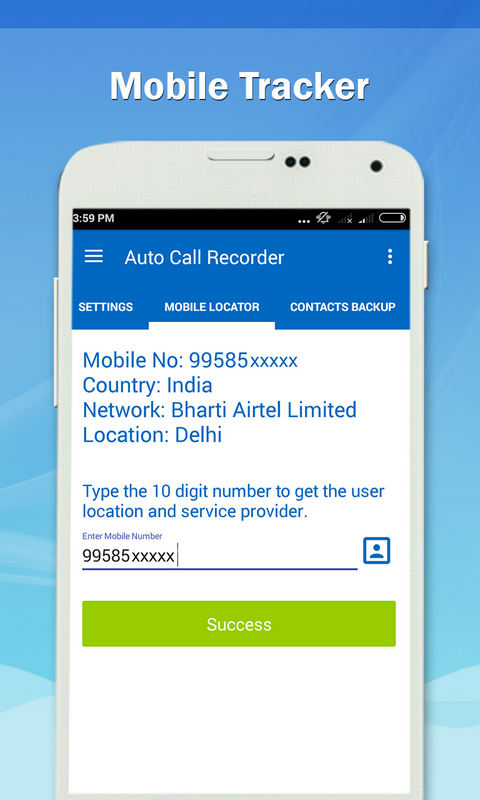 With Contacts Backup & Restore you can take all your contact backup at single click & transfer in case you purchase new phone. 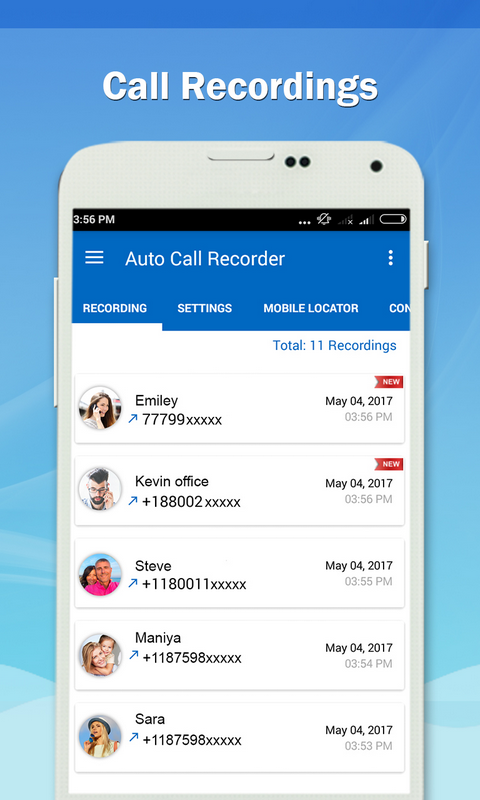 ★ Features ► Recorder: Records any Incoming & Outgoing calls in HD voice Qulity,play any recorded call when ever you want to listen it. 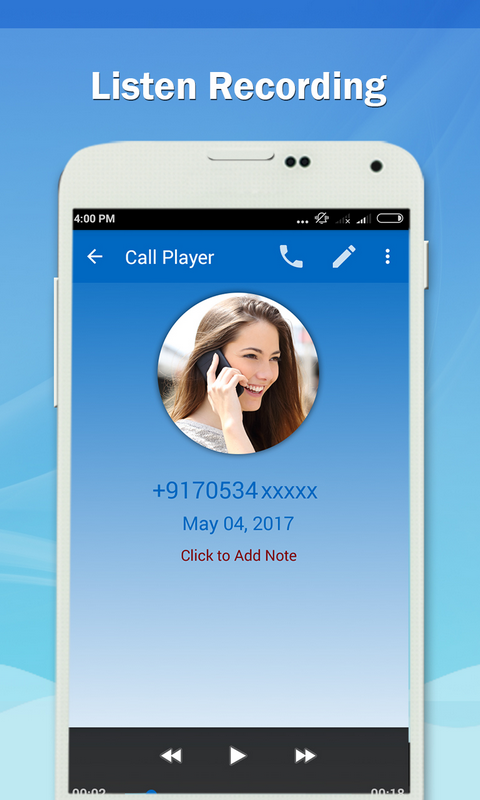 Use your call record for following actions Play,Delete,Call,Share,Share Direct to Call Sharing apps ►Password Security: Secure you app with password secutiy & stop unwanted people your personal call Records. 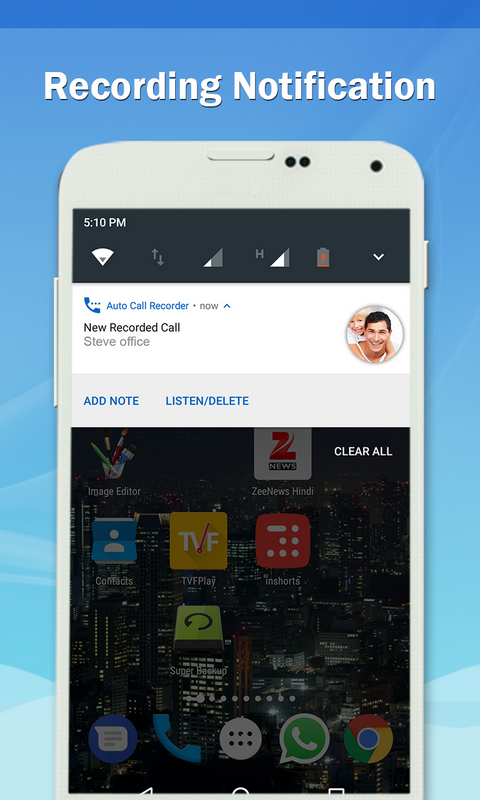 ►Caller Details: No Need to new app to get your Caller details,App will tell you all the details of caller at the same junction. 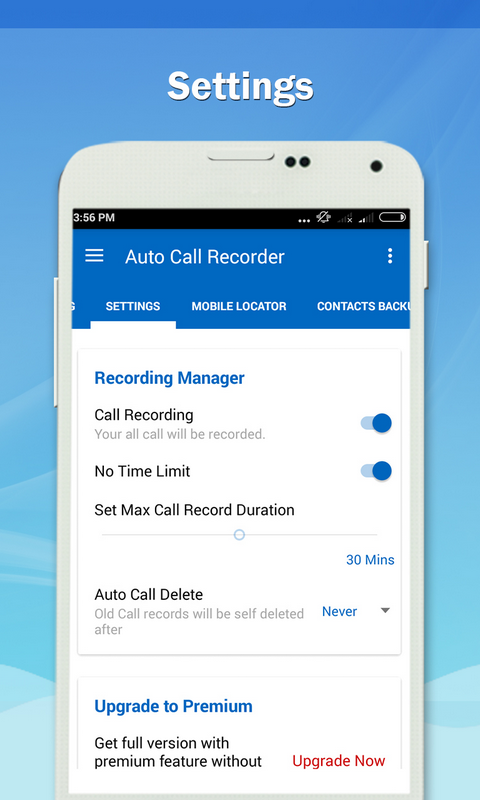 ►Max Call Duration: Manage what memory app will use during call recording.